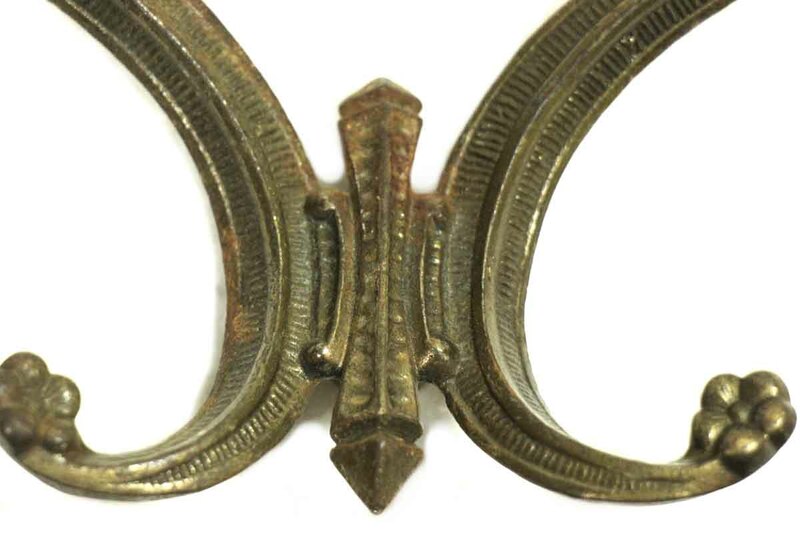 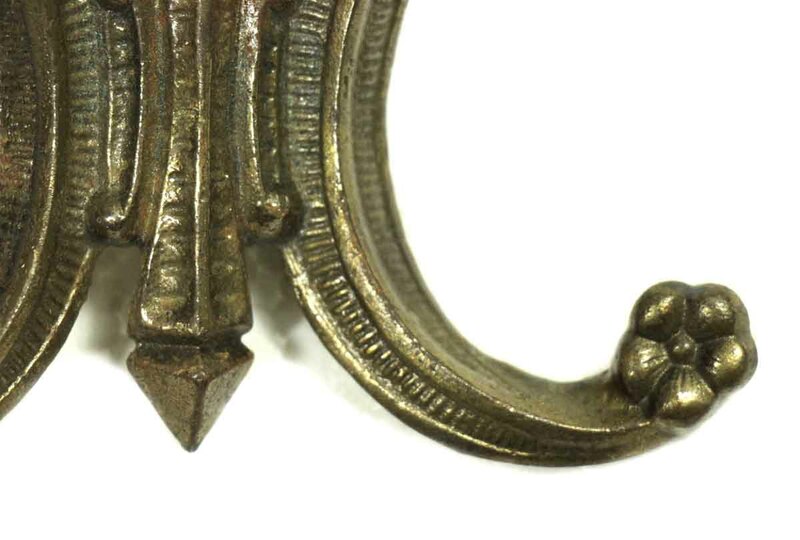 1920s era brass hook. 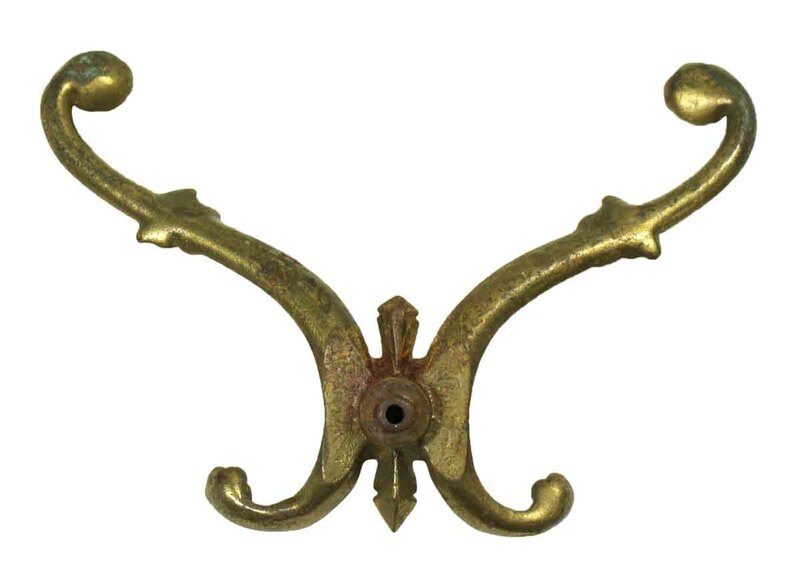 This is a single hook with four different arms for hanging coats, towels, and hats. 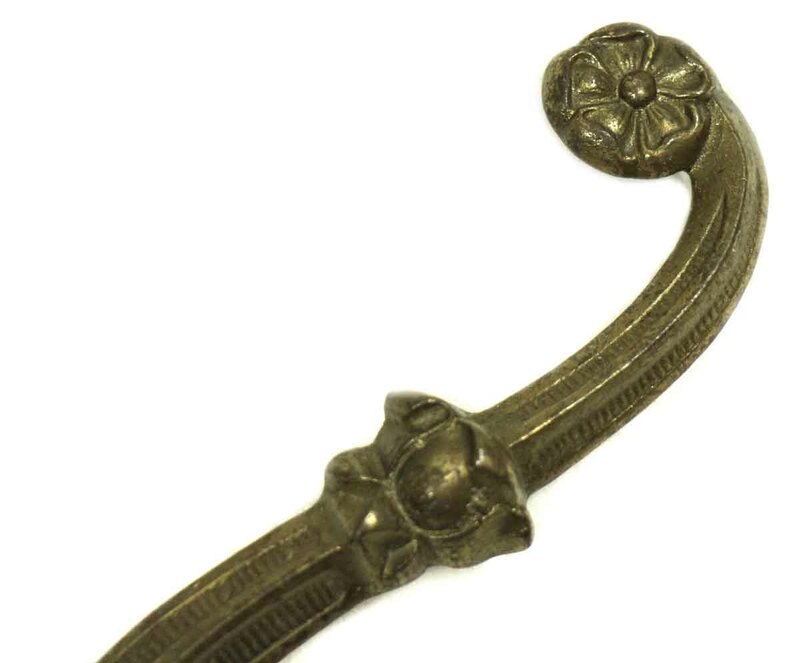 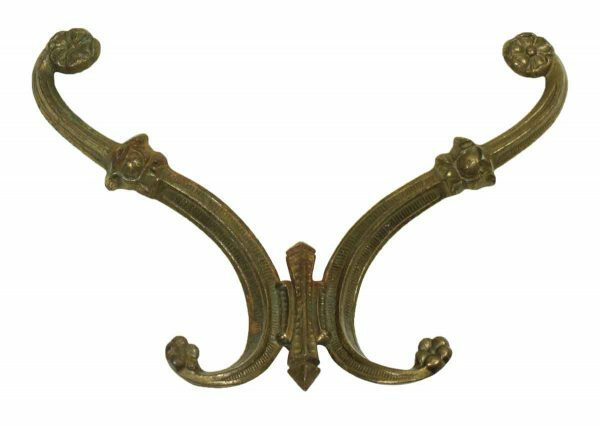 Each hook end has a floral design with the Deco center attachment.